Manufactured and Delivered by; ChangQing Proppant Corporation. High-quality proppant with high flow rates in both initial and post production stages for greater production and less drop-off. Perfect application for moderate well depth. Available in standard sizes: 20/40, 30/50. Special 40/70 size is available upon request. 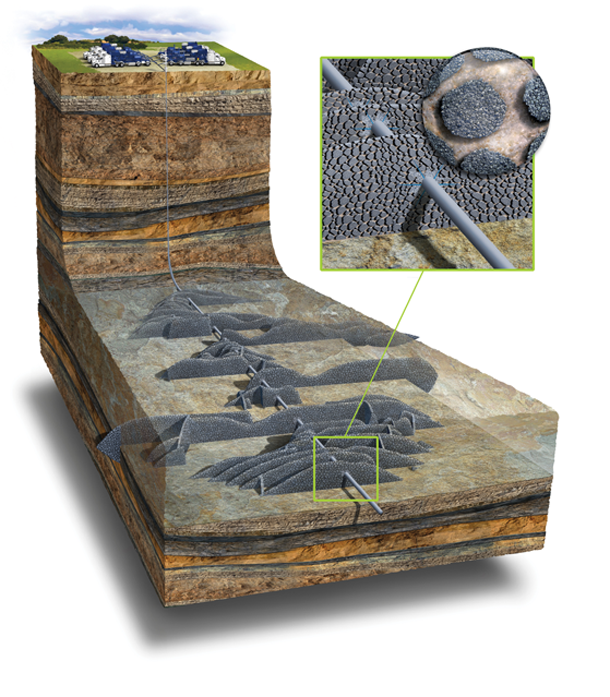 Proppant selection process in hydraulic fracturing is widely known to be very critical. Operators are often faced with the difficult decision based on economic constraint and cost is an increasing determinant of selection. When economic conditions justify the use of premium proppant, such as ceramic proppant, the choice is usually made based on the following factors: (1) product quality to meet ISO 13503-3 Standards; (2) acceptable conductivity (or permeability); (3) availability of the product and deliverability; (4) prior commitments; and (5) unit cost of the product. Essentially what operators pay for is conductivity or permeability, not only to maximize the initial production but also sustain the production long-term. It is beneficial to understand the value gained from every dollar spent. A new way of normalizing the value is to compare Darcie per Dollar. CQ offers the best value to the well output examined through a standard DPD™ index.